Gaming Looking for Loyal Committed YouTubers for Yogscast Style Channel. We're looking for a (possibly multiple) committed experienced high quality gaming youtuber to be the final puzzle piece of our YouTube channel Pop! 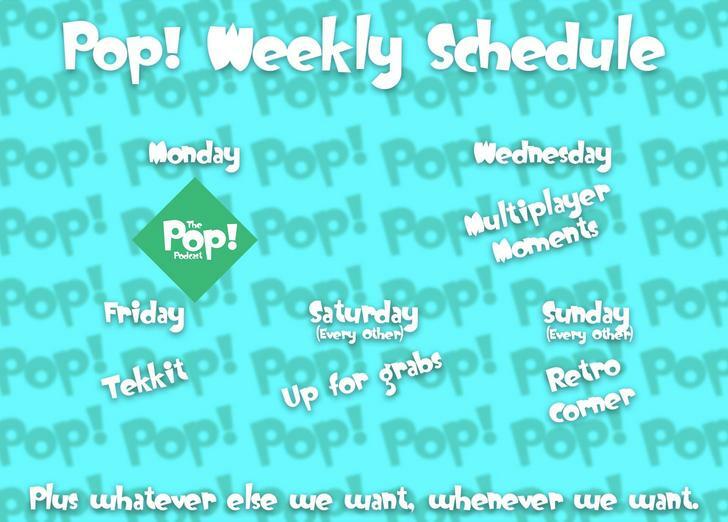 Pop is a fun multiplayer gaming channel starting 23rd July 2018. The Pop Podcast is a fun laidback podcast hosted by me (Ryan) and Tom the founders of Pop! Tekkit is a Minecraft Tekkit series with Ryan, Tom and another person too. (This could be you) Everyone is welcome to play and make their own series. Saturday is where we need somebody or some people to make a biweekly multiplayer series. Sunday is Ozzy (a pop creator) 's series Retro Corner he plays retro games with guests. A reasonable amount of availability. We'd prefer you to be UK or EU based but that doesn't mean everyone else is not welcome. Hello, my name is Jacob, and I would be very interested in being part of a podcast! I currently make funny moments videos on YouTube and sometimes stream playing video games live to my viewers, and I find it very enjoyable to do so. I have experience in making thumbnails in Photoshop and editing videos in premiere, but I will have little time to make any videos, seeing as I am managing my own channel. Please contact me on discord at PhysicsFreak#9906 if you are interested. Hmm, this looks very promising and intriguing if you ask me! However, if a person joins this Multiplayer gaming channel, does it mean that the person MUST attend everything you mentioned, for example, i prefferably dont play L4D2, Garry's mod CSGO, or Minecraft/Minecraft Tekkit anymore xd, as the main game i play on MY channel is Super Smash Bros games. However the podcast thing looks fun to me and the sunday stuff with retro games and more. - Do we only play L4D2, Garry's mod CSGO etc. and no other games? To put it in a better way, will we play other games as well? - If i join your mutliplayer channel, i still get to upload whatever i want to on MY channel right? MY channel isn't bound to anything right? I can join in i am readily available most of the time! i do comedy compilations and have been searching a group to grow and have fun with. Hey, im pretty interested in joining in. Is it still possible to do so? Hey dude. I am pretty laid back. i have had a LARGE amount of experience on editing(in all programs). I am located in the UK and i have a blue snowball which i would consider to be a decent mic. i have steam and minecraft. p.s i am extremely interested and would love to be apart of this so i would be putting maximum effort in 100% of the time. Hey my name is sam i recently, and unfortunately gave up on youtube, however your post here has enspired me id love to be part of this team Pop! i have been on youtube for a few years now i have decent sony vegas experience also i dont use photoshop but i am skilled in my choice of photo editor i also reside in scotland just south-east of glasgow im 16 almost 17 and would love to get in on an amazing team, i adored the yogscast as a child and even now and would love to have the same effect as them, if you would do me the honor of inviting me here is my discord.